The MASSH-400 system is designed to be impacted from any direction, unlike typical beam posts and is field fit ready with the ability to hold up to 72 ft2 of sign area per post in a 90 mph wind zone. 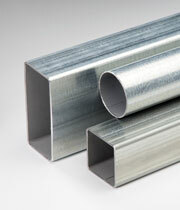 Look around your everyday life to see the endless ways galvanized tubing has an impact on the world around you. Let Allied build your basic product knowledge with a Tube & Pipe 101 overview, specifications, design considerations and section properties. In addition to manufacturing tubular products, Allied Tube & Conduit offers a full range of special fabrication services to provide assistance with product enhancement. Find out what size mechanical tube you need, tube substitution, and determine the tube section properties and load characteristics. 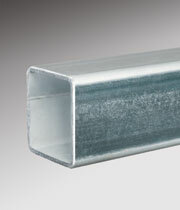 Gatorshield tubing is derived from Allied's original Flo-Coat product. It is created by adding 50% more Western grade pure zinc to the original process. 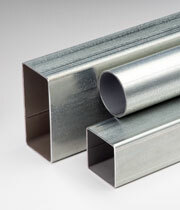 Gatorshield Plus tubing offers even greater corrosion protection. The product has been designed for use in straight applications in the most caustic of environments.